06.15.13 Rachel Garvey 2018 Metro Stars scores 25 pts on Saturday June 15, 2013. 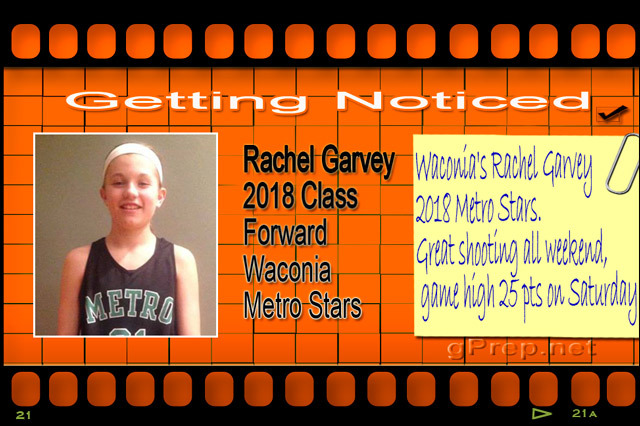 Waconia's Rachel Garvey 2018 Metro Stars. Great shooting all weekend, game high 25 pts on Saturday June 15, 2013.